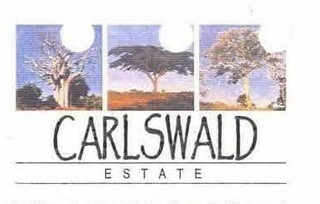 Sign up and receive Property Email Alerts of Freestandings to let in Carlswald North Estate, Midrand. Admin fee, credit check and deposit applicable. A luxurious family home in the distinguished Carlswald North Lifestyle. Absolutely perfectly positioned in a quiet cul de sac, with beautiful views onto the Carlswald countryside. The welcoming entrance hall leads to a spacious well appointed open plan kitchen and dining room. Well equipped kitchen with Caesar stone tops, a breakfast bar, prep bowl, gas hob, ample cupboard space, and a large pantry and space for a double door fridge. The separate scullery has space for 3 appliances and leads out to a paved back courtyard with a garden that leads you to the cottage. The spacious guest bedroom downstairs, has a full bathroom that is is tiled with travertine and the bedroom has fold away glass & aluminium doors that opens onto a private garden. The separate family living room is vast and also has fold away glass aluminum folding stack doors that leads onto a lovely garden with gorgeous views. The patio is covered and has space for an 8 seater table, excellent for entertaining. The wooden sleeper staircase leads to a 3 good sized, sun filled upstairs bedrooms with built-in cupboards. The master bedroom has air conditioning. There are 2 Full bathrooms, and main en- suite with double shower and walk in cupboards. Lovely balcony with uninterrupted views. Large pajama lounge, perfect for snuggling up with your family. Double automated garages with a closed off storage room, that has direct access to the home. Driveway for visitors to park. It is a must to view, please call to arrange a viewing. included is the maid 3 x week, & gardener 1 x week, upmarket estate with lots of facilities, incl; gym, squash & tennis courts, cricket nets, running trail and a clubhouse venue. Sign-up and receive Property Email Alerts of Freestandings to let in Carlswald North Estate, Midrand.